Right from the off, Sea of Thieves has known what it wants to be – a shared open world Pirate game. It was never going to be an RPG, it was never going to have have vertical progression, the Sea of Thieves experience was to be an inclusive one. 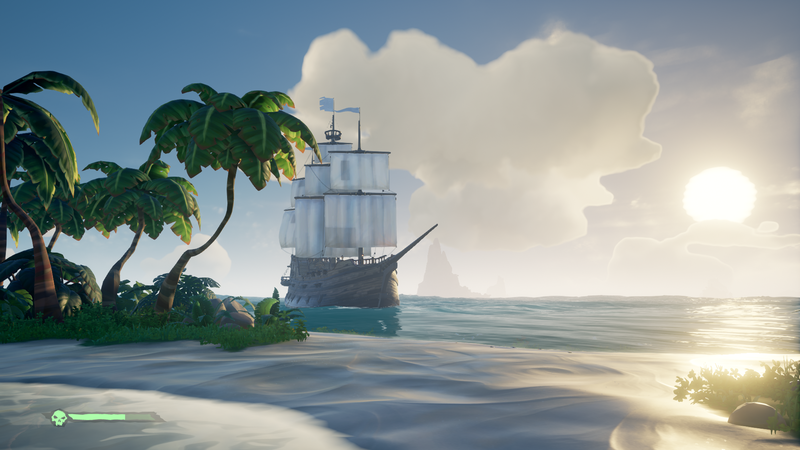 One where a Pirate Legend can jump in with a brand new player and play the same stuff. Right from the off, Sea of Thieves was going to split opinions. Let’s be realistic, Sea of Thieves isn’t brimming with content, it’s not a game that’s going to keep you busy for hundreds of hours at launch with new things to constantly do. But, I don’t mind that too much, I actually like that it has a more casual approach to it, one that doens’t require non stop attention to grind things out. Yea, ok people will bring up the price and say it’s not £50 worth of content, but what people deem a game to be ‘worth’ differs wildly from person to person, so in a way you kind of have to put that aside – some people will spend thousands on mobile games like Clash of Clans… But I wouldn’t deem spending £1 on it worth it. Some people see a £15 indie game with 3 hours of story worth it, others don’t. A games worth to someone is entirely subjective and therefore very hard to judge whether is a game is ‘worth it’. For me, if a game is fun and can provide me with a few good laughs here and there each week then I think it’s worth it. There seems to be this obsession among some gamers that they will play one game and must be able to play that game solidly for months. Why can’t we play more? Why can’t we enjoy something in moderation. It’s like the Fortnite vs PUBG argument, why not both? What’s wrong with just playing a game for the fun of it every now and then. Rocket League, Overwatch, PUBG, Fortnite, these are all games that I will just pick up and play whenever I have a bit of spare time or when me and my friends aren’t sure what else to play. They’re games that we will keep coming back to, even if it’s been months since we last played them. That’s how I see Sea of Thieves. Except that it doens’t sit in line with the other games that I mentioned and that’s why I think people are getting a bit perplexed by it. They aren’t sure what to make of it, how long to play it, or how much content there should be, because in a way, we’ve not had a game like this before. Yes, there are sandbox games out there and they all have some similarities to them, but Sea of Thieves feels different and I can’t really explain it. Even when trying to sell it to some of friends before it launched they weren’t convinced after watching gameplay videos or talking about it. But as soon as they got in to the game, they got it. It just clicked. Striking up a tune on your Hurdy Gurdy, then having your friends join in sounds like a stupidly small thing, and it is, but it’s still a great thing. Being fired out of a cannon, how fun can that be? Turns out, pretty fun! 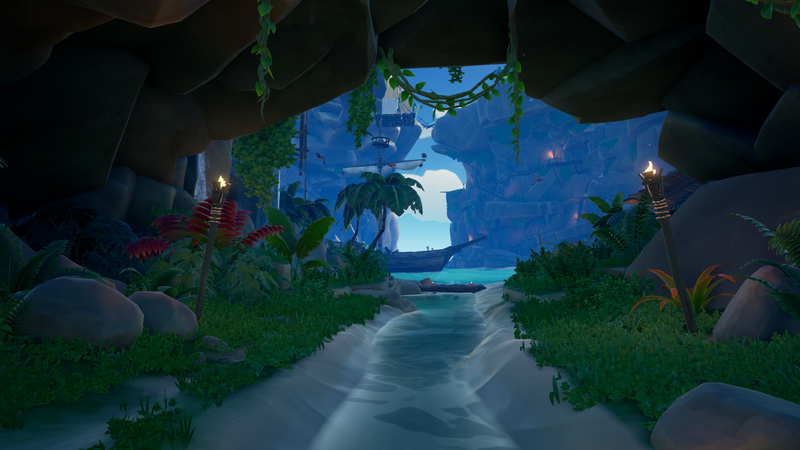 Chasing chickens and pigs around an island is enjoyable, digging up treasure is neat and all these things lay the foundations for some incredible things to come. You don’t know what awaits you when you log on and that’s what I like about it. I don’t need a story for this type of game and those complaining that there should be one are way off. This game doesn’t need a story, we are the stories. We are those amazing moments that you read about online, not how you finally got the best gear to take down a boss. These events in the above videos took place over a period of about 2 hours maybe a bit less, and bar the skeleton fort everything about it was organic, it just unfolded in front of us and it was epic. This is why I wanted Sea of Thieves, this is what I expected from the game, those unscripted moments that you can’t predict. Sea of Thieves just makes me smile. I’m not saying everyone out there should love this game, or should go play it, some people just don’t get on with these types of games and that’s fine. But can we stop the hate towards people who actually like it and who enjoy this type of game for what it is and not bemoan what it isn’t because it was never going to be that, and if you thought it was then that’s on you. This game isn’t perfect it has it’s flaws and we should absolutely be vocal about bugs and glitches and offer suggestions for cool new ideas because Rare are listening as we’ve seen with the recent U-turn on the death tax. We also know that there are some issues with PVP and infinite re-spawning, but those are things that can change. Of course there could be more content and probably should be, but there will never be enough to sate some peoples appetite. People had the pitch forks out before the game released, they were ready to tear it down at a moments notice. But the things is, is at no point have I felt like I was led to believe there would be more than there is. I knew what I was getting in to, I knew that there were three factions, what their quests entailed and how much I could rank them up. I knew that Skeleton Forts and the Kraken were the main ‘End game’ so to speak. 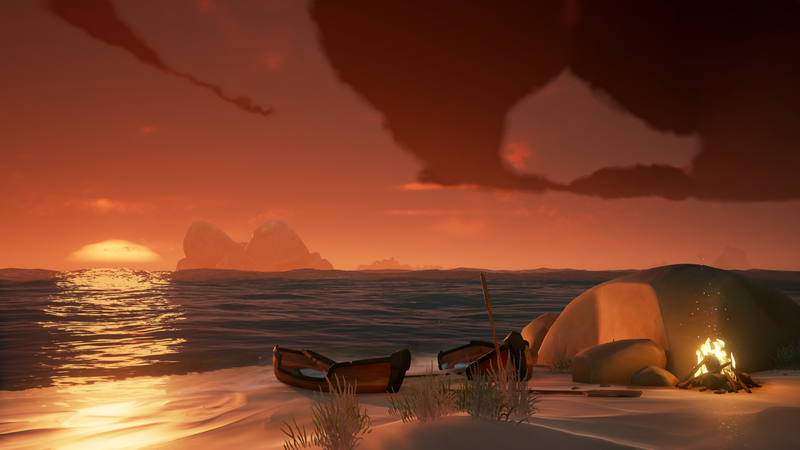 I also know that Rare have created a beautiful, fun, level playing field with so many potential avenues to explore and I can wait to see that. For now, I’m happy to sail around getting in to stupid scenarios with my friends. Sea of Thieves is something special in that it’s new and it feels like a totally new game, I don’t ever feel like this is something I’ve played before but in a different setting or with different weapons. I commend Rare for sticking to their guns on this one and creating a beautiful sandbox with fun gameplay and most importantly, the game that they envisioned. Will their stubbornness be their downfall? Time will tell, but personally I think they’re on to a winner.